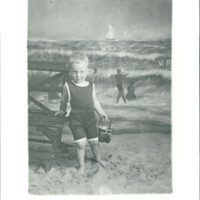 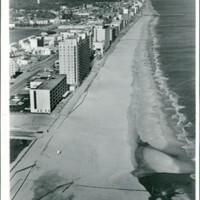 Sam Griggs, visitor to the oceanfront, poses for a photograph ca. 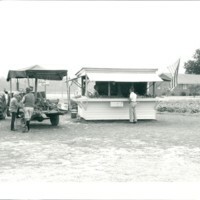 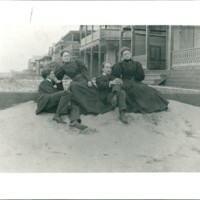 1910, before a photographer's backdrop. 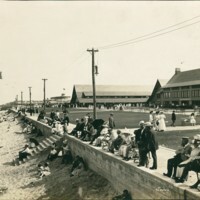 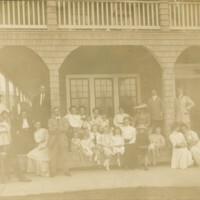 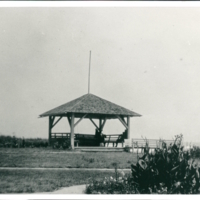 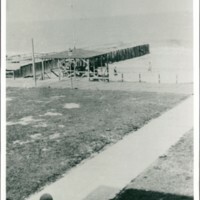 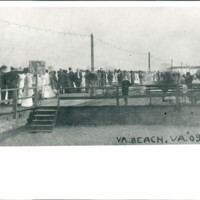 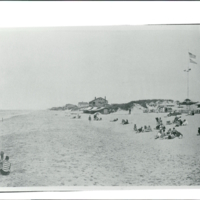 Vacationers sitting along the boardwalk at the Virginia Beach oceanfront sometime in the early 1900s. 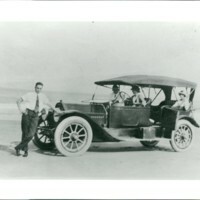 Alvah Clark, Emmett and Mary Hogan, and Helen Anderson pose with the Hogan's car at the Virginia Beach oceanfront in the 1920s. 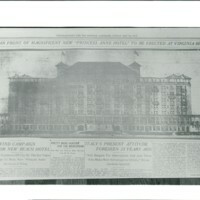 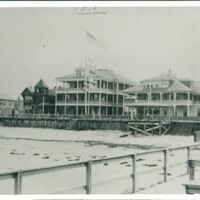 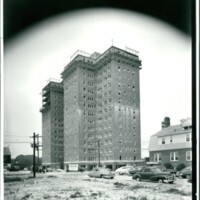 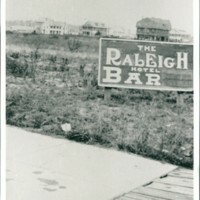 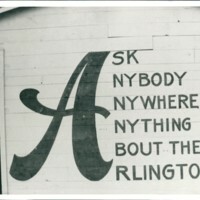 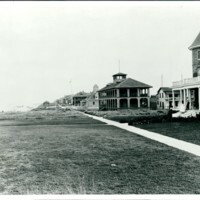 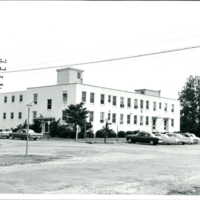 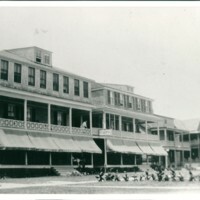 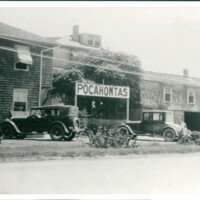 A sign advertising the Raleigh Hotel and Bar in Virginia Beach, 1911.